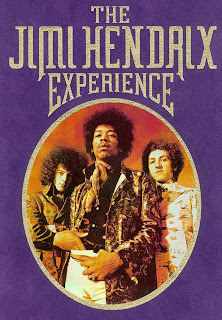 MCA continued the series of definitive masters of the Jimi Hendrix catalogue in 2000, releasing the self - titled box set The Jimi Hendrix Experience, a boxed set consisting of four discs. The material includes alternate recordings, live performances and some rarities. Although most of the material had been released in earlier compilations, some previously unreleased material (such as live versions of "Killing Floor" and "The Wind Cries Mary") was also included. The alternative recordings include some tracks from Hendrix's studio albums, even including some from First Rays of the New Rising Sun. This list includes "Purple Haze", "Highway Chile", "Little Wing", "Gypsy Eyes", "Stone Free", among others. The live songs are taken from performances such as the Monterey Pop Festival, the Royal Albert Hall, and the Isle of Wight and includes a near-complete version of Hendrix in the West. On some tracks, especially on those from Hendrix in the West, the recordings have been slightly altered to clean up the sound, but even when modifications were made the result does not differ too much from the original masterings.